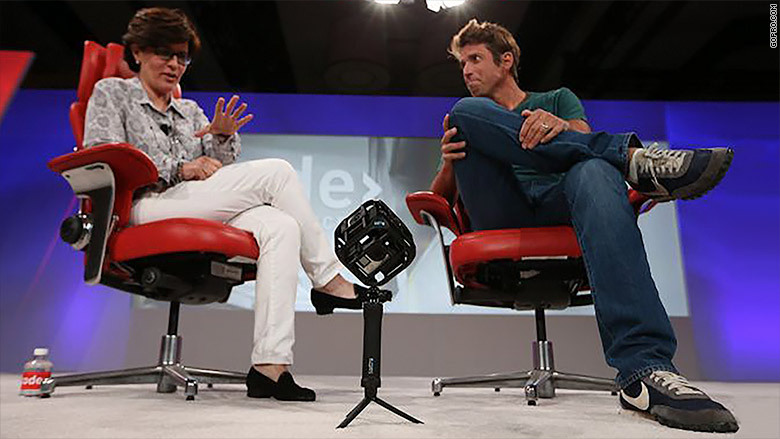 GoPro already conquered the video camera market, and now it's diving into virtual reality. The company unveiled a ball-shaped mount that can hold six of its cameras. Those images can then be integrated to appear on virtual reality displays using software from Kolor, a virtual reality company that GoPro acquired in April. "It's incredible to see our world from new perspectives. It's a real 'Oh my God' moment," said CEO Nick Woodman on stage at the Re/code's media and technology conference. The videos will be compatible with virtual reality headsets such as the Oculus Rift, Google's Cardboard and Microsoft's HoloLens. GoPro did not announce pricing for the offering for six-camera system. Woodman also said GoPro is working on a drone, which it hopes to have on the market in the first half of next year. "We see a similar opportunity in the quadcopter market," he said. "It's something that's in our DNA, and we are excited about it across the company." GoPro (GPRO) shares were up nearly 8% in late morning trading Thursday. 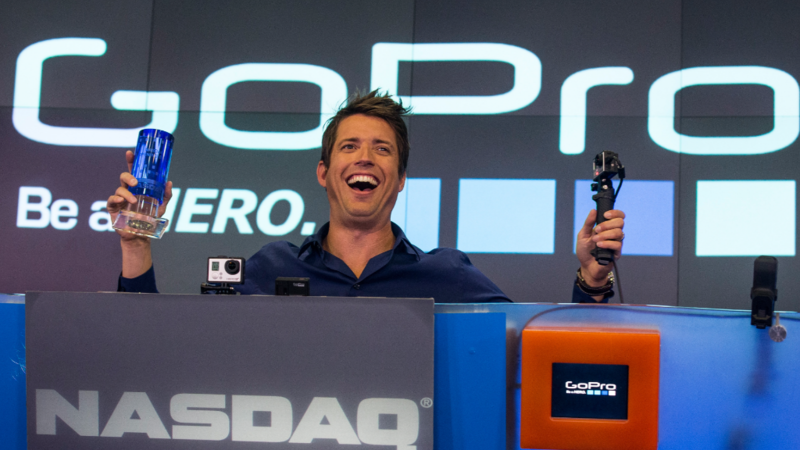 Nick Woodman and unveils GoPro's virtue reality camera.